This might seem strange. At the end of Day 2, we drove about 25 miles south to stay at the lovely Lairg Highland Hotel. This morning we got up and drove 20 miles back up from where we had come to start Day 3. Crazy? Well this is the Bryson Line. A general theme developed today, our second and final day of walking on a road all day, and that was traffic. OK, so we intimated in the title that we saw a lot of lorries. Not strictly true. 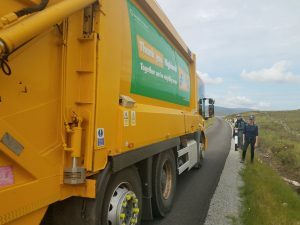 We saw a lot of cars, a few lorries, vans and a council rubbish truck. We even saw a few cyclists including Eddie the Scientist (see yesterday’s blog). What we really saw a lot of, all day and at regular intervals, was German camper vans. You read that right, a steady procession of camper vans with pensionable age couples heading North. It really felt like the Bavarian Caravan Club annual general meeting was being held somewhere up the road. Still, they all gave us a jolly wave and took care not to run us over which was nice. The big tick (not the insect) today was that we spent most of the day walking alongside Loch Shin, the largest loch in Sutherland which is 17 miles long. 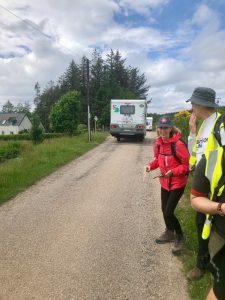 Whilst we were pounding along on a road we had no real hills to conquer and kept up a cracking pace, allowing us to return to Laird by 4:30. 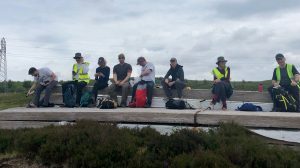 Today also saw the first of our walkers leave us as we left Eric at Lairg station to return to London on the overnight sleeper from Inverness. 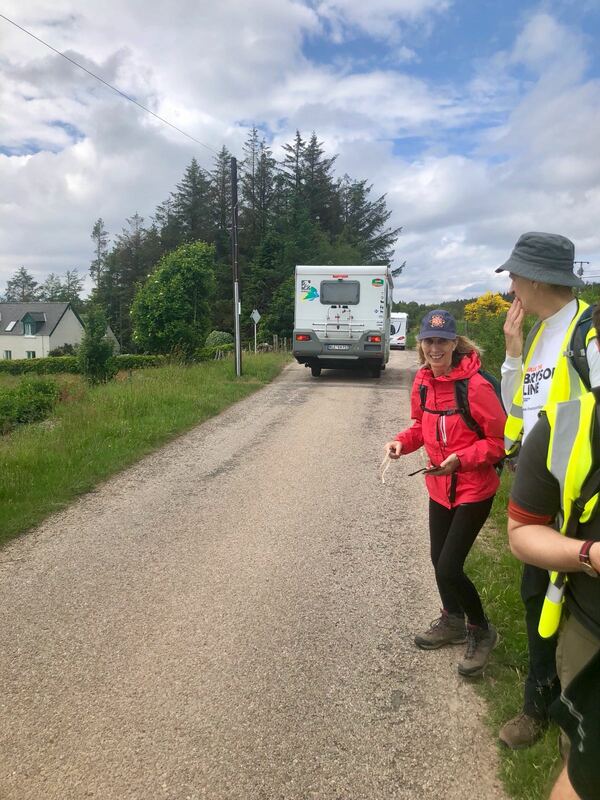 His journey looked such fun we almost lost more walkers and only stopped them escaping by locking them in the van. Finally, Lairg. This lovely village at the southern end of Loch Shin is famous for being the site of the fifteenth largest impact crater on Earth, the Lairg Gravity Low which dates from 1.2 billion years ago and is 25 miles across. 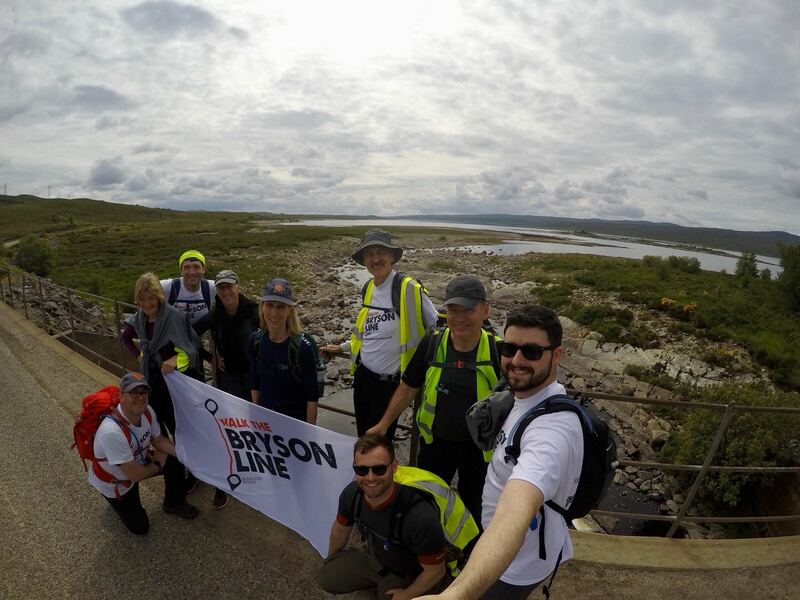 Useful facts aside, we made it to the end of Day 3 and eagerly await getting back off road and into the countryside.